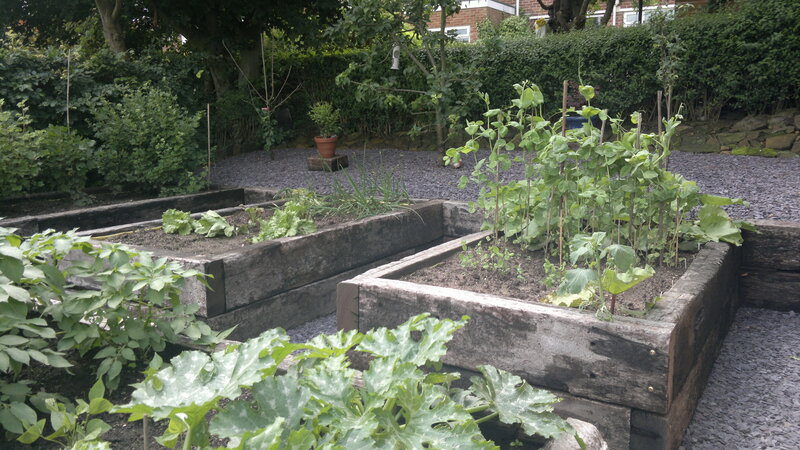 To create an accessible area for planting vegetables, an area for a shed and a greenhouse. To level the back of the garden creating three smaller beds and one large front bed. These would provide good arms length access and be aesthetically pleasing. 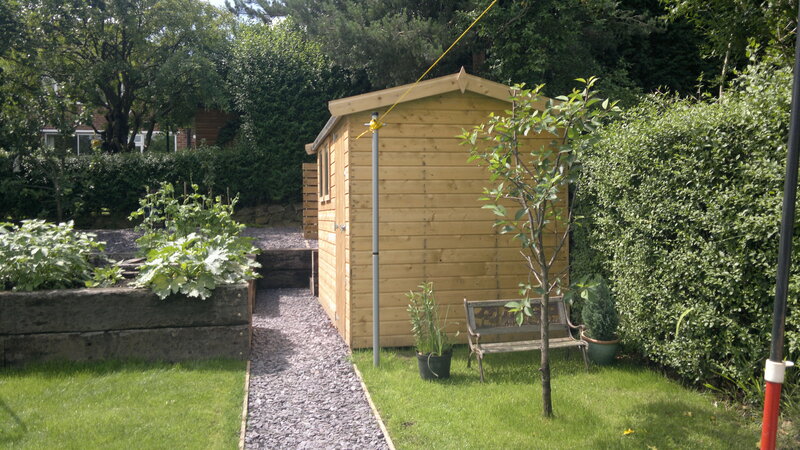 To create a level area for the shed to the right of the beds. To create a level area behind the garage for a greenhouse. 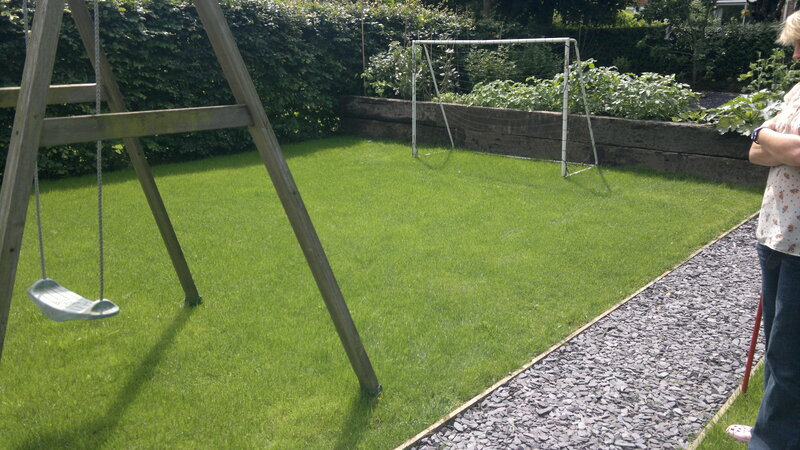 A new lawn was installed giving a level area to play. New shed and lawn in front and tree transplanted from area that has been developed. A new washing line placed to the right out of the way. Raised beds now being planted with veg. Fruit trees planted behind. Raised bed showing composting area and storage behind shed. Steps lead up to the fruit trees. New level lawn with space for children to play.